Mira Kapoor Spills The Beans On Her Favourite Cuisine, Favourite Restaurant And More! Bollywood actor Shahid Kapoor's wife Mira Kapoor is a celebrity with a huge following of Hindi cinema lovers from around the world. The mother of two is very popular on Instagram as well, and has some 1.5 million followers on the photo-sharing platform. 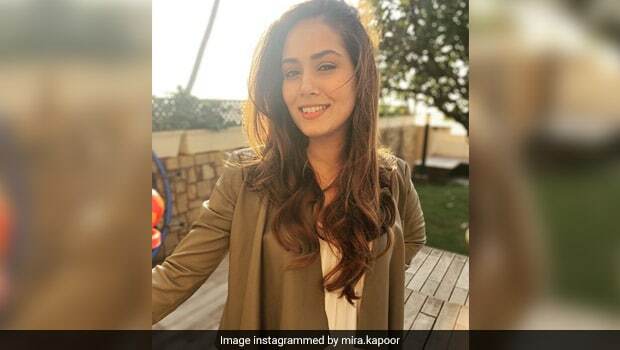 Mira Kapoor is quite a fitness freak and a foodie as well and she often shares snapshots from her foodie adventures around Mumbai and Delhi on her Instagram page. Kapoor, who is a vegetarian like her husband Shahid, is also fond of cooking as she revealed in a surprise Q&A with her fans and followers on Instagram. Mira Kapoor was asked a number of questions including about her two adorable kids and her love for food, during the Q&A and she let us in on a lot of secrets. 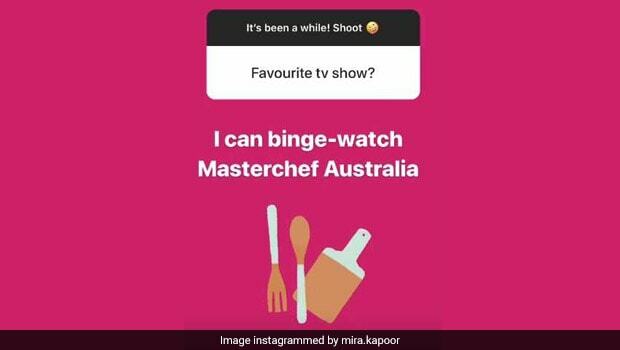 Mira Kapoor revealed that her favourite cuisine is Thai and that her favourite show to binge watch is Masterchef Australia. Spoken like a true foodie Mira! 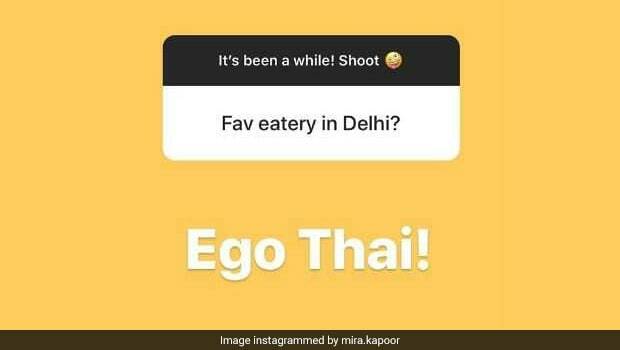 The Delhi girl also revealed that her favourite restaurant in the capital city is Ego Thai in New Friend's Colony in South Delhi. The restaurant is a favourite hangout spot of Asian food lovers and also serves a whole range of cocktails and mocktails. Mira Kapoor seems to be quite besotted with Asian food in general, as the beauty had earlier shared snapshots from a Japanese sushi place in Mumbai, where she had a foodie date night with Shahid Kapoor. The couple had spent some quality time at Izumi Ramen and Sushi in Bandra. Like any typical Delhi-born, Mira Kapoor loves the food in the city and makes sure she posts pictures of the food from around the city. Recently, she revealed that she loved the sweets from Gopala Sweets in Delhi. Mira also answered a number of beauty and health related questions including her go-to hair care product and her post-pregnancy weight loss secret. Also Read: Mira Kapoor Is Drinking Beetroot Chai: 5 Reasons You Should Drink Beetroot Tea Too! The answer to the former was coconut oil, while for the latter, Mira said that she worked really hard to shed the post-partum weight and also ate healthy. During the Q&A today, Mira Kapoor was asked which Vietnamese food restaurant she liked and she replied saying, "Haven't yet heard of any authentic Vietnamese restaurant with a good vegetarian pho. Let me know if you've tried any place!" Do you have any suggestions for the lovely Mira? Let us know in the comments section below!